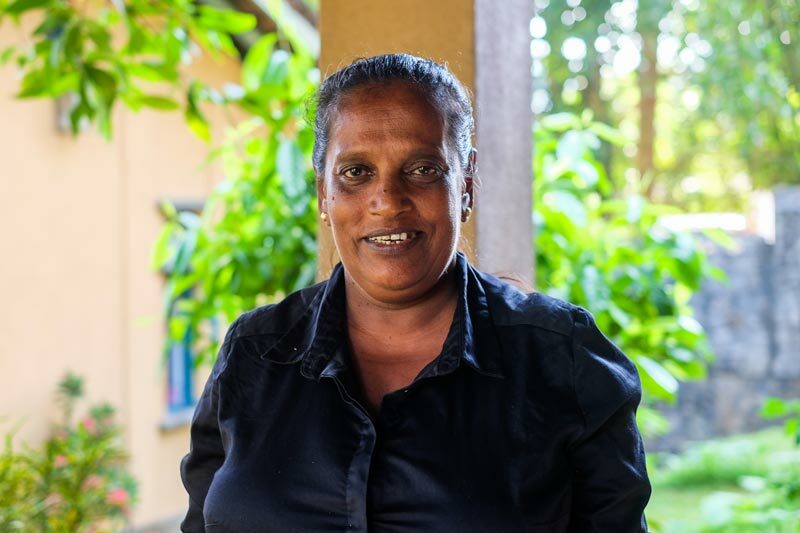 “I cannot express in words what it means to be an SOS mother,” Malani, SOS mother, SOS Children’s Village Monaragala in Sri Lanka. “I just enjoy my work here. I’m really happy, and I like to face all of the challenges and find solutions. I cannot express in words what it means to be an SOS mother. At first the biggest challenge was taking care of a baby. When I started here my first child was just two days old. It was so difficult to handle an infant and for three months I held him with a pillow. Now he’s a teenager. Whenever the children are in the house, I try to be with them and try to complete all the other necessary work when the children are not at home. They have a lot of exams, but they all pass them and qualify to go on to the next level. My oldest daughter just got selected to go to university, so the commitment has paid off. I have cared for 22 children during my time here. Some of the grown-up children are married, and many of them have good jobs. I’m happy about this. The Village Director and the other staff support me a lot. It’s not a single-handed job. It needs teamwork from the whole Village to bring the children to a good level. Malani started working as an SOS mother in 2001. She currently looks after eight children. This Mother's Day, we'd like to ask you to honour the work SOS mothers do by making a small donation. With your help, we can continue to support these wonderful women who are mothers to the most vulnerable.